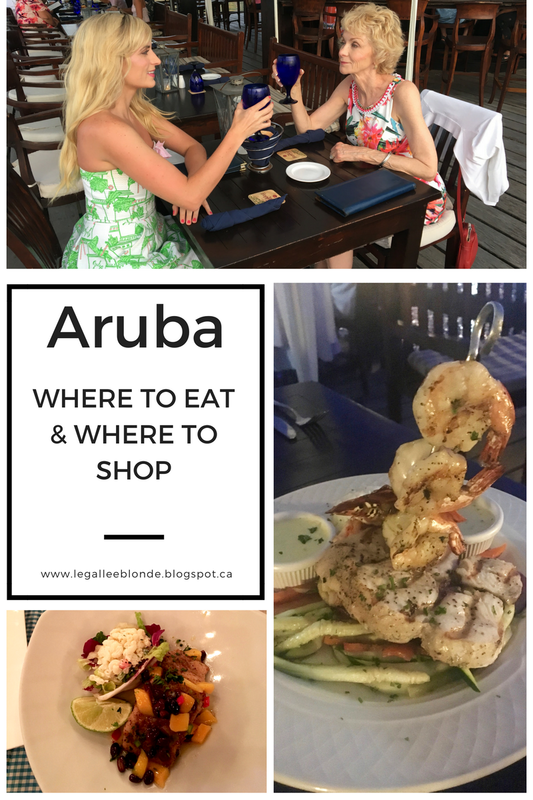 I couldn’t talk about Aruba without talking about the food! 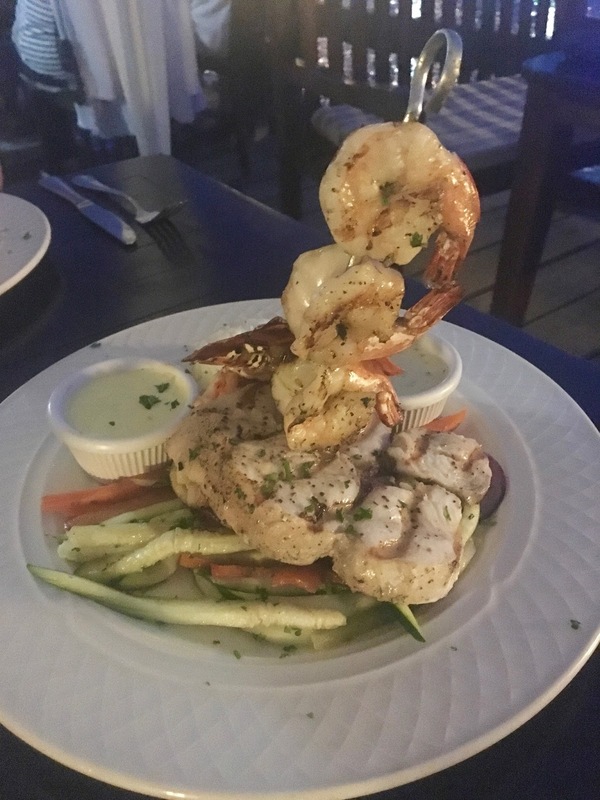 Aruba has some of the best restaurants in the Caribbean. There are so many great choices, and I wanted to share with you my personal favorites. 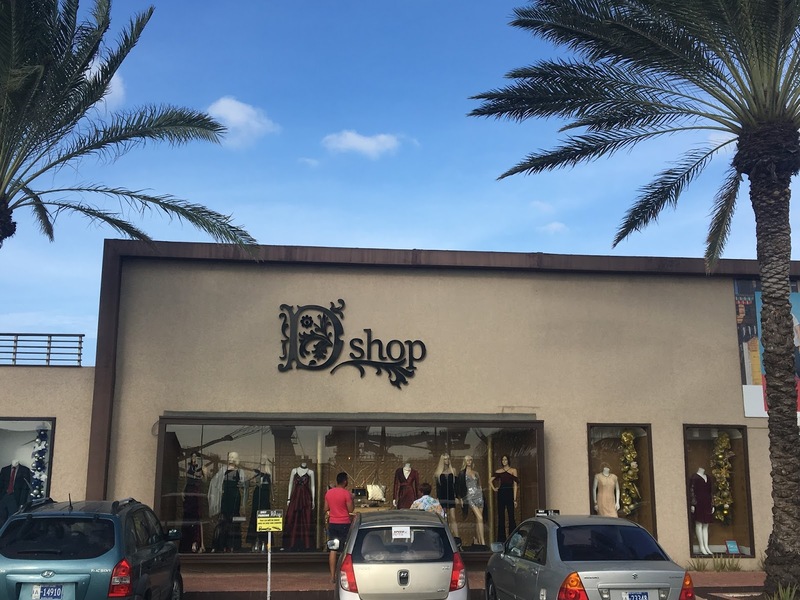 To round-out my review of my recent Aruba trip, I thought in this post I would also share with you my favorite place to shop, and share some last few photos from my trip. 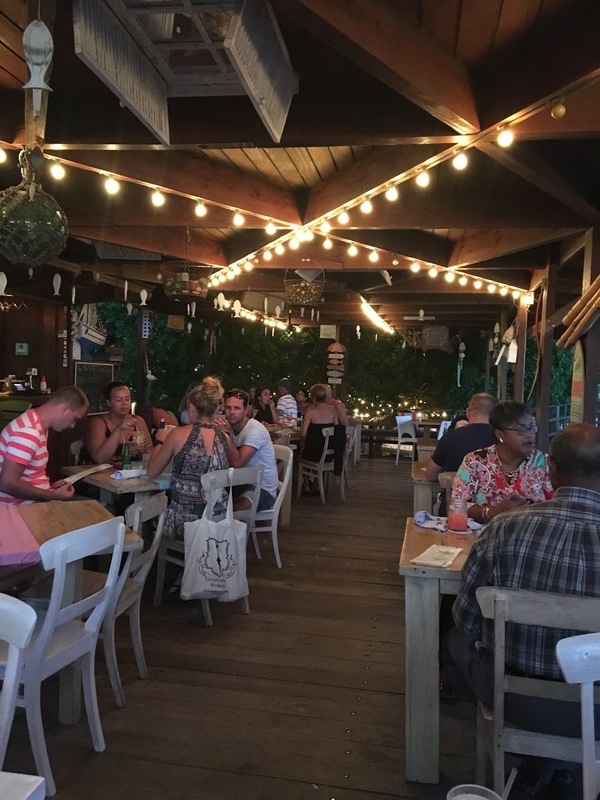 Sitting at your table with the breeze blowing through (hopefully with one of their delicious cocktails in hand) you can’t help but feel relaxed. Speaking of cocktails, Pinchos makes what is now my new favorite drink – a champagne mojito. You absolutely need to try this drink! 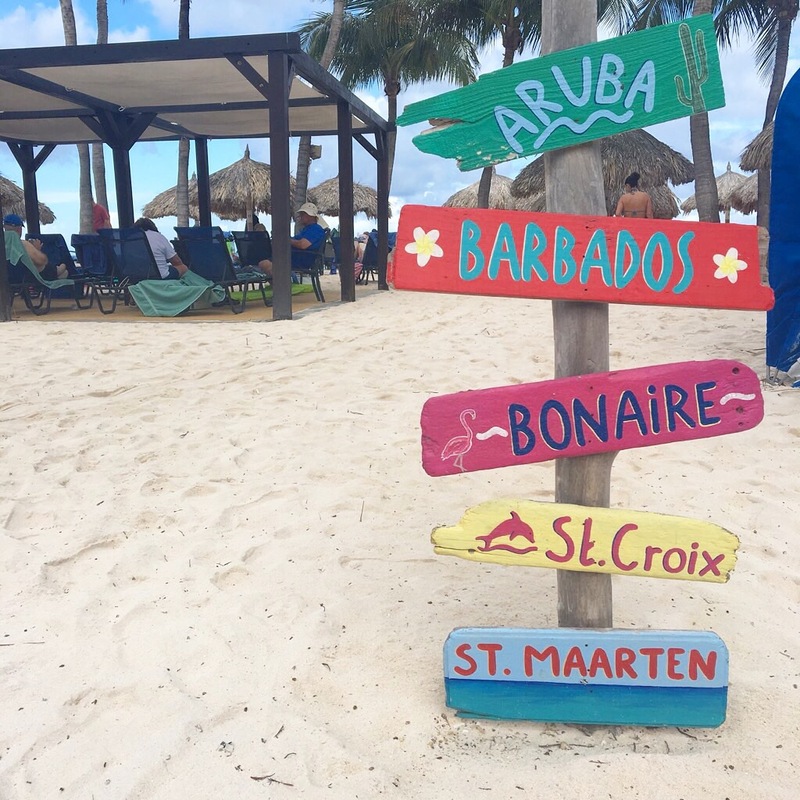 Another highly recommend one would be the Aruba Aribe! As far as the food, the seafood dishes are top notch and there is a ton of variety. My mother who I went with is a vegetarian and they were also able to make a custom vegetarian main for her, which she loved! I had the special of the day which was a seafood trio including the local wahoo fish, lobster and shrimp. It was delicious! If you follow me on instagram, you hopefully saw my instastories of this restaurant. This is hands down the coolest restaurant I have ever been. 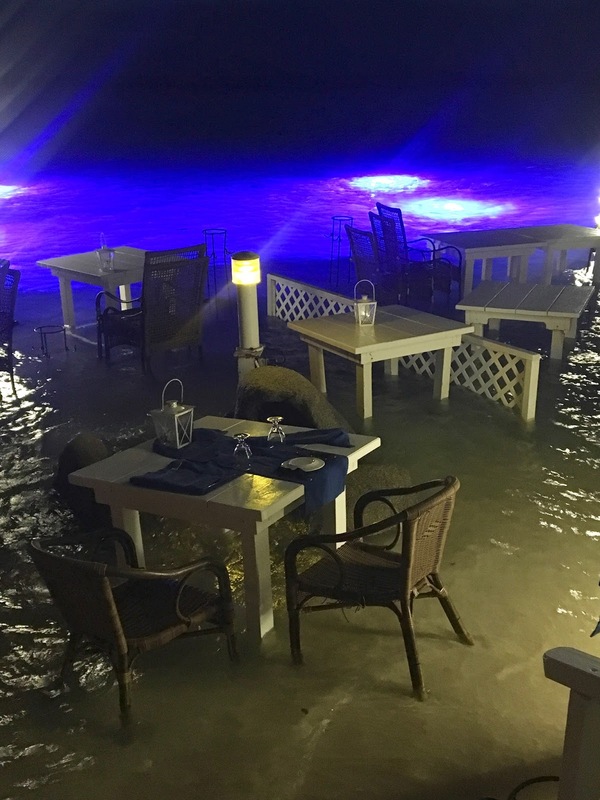 Indoors is filled with twinkle lights and has a super hip bar area, and outside – as you can see above – is literally in the water. There are a number of these water tables and we were lucky enough to get one for our dinner. If you want to secure a water’s edge table be sure to book in advance and note that they only have seatings for these tables at 5pm. My mom was not nearly as enthusiastic as I was about the idea of eating with her feet in the sand with waves lapping up. However, she was quite the convert once we arrived and experienced it. It is definitely an experience worth having! Sadly, the food was not as good as expected, especially given the prices. I would say the food at Pincho’s was far better, but I still recommend checking out the flying fishbone for the experience. The West Deck is the most casual of my top 4 restaurants, as well as the most affordable. 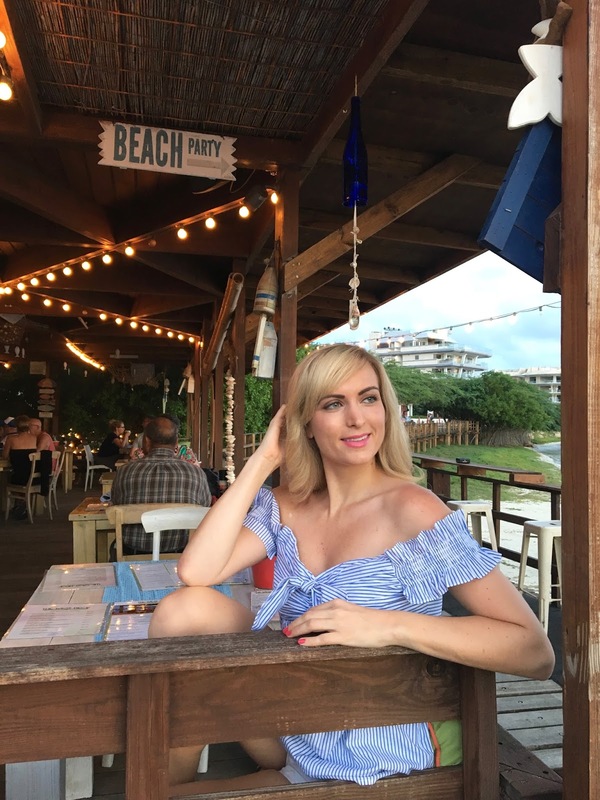 The food here is so good that even with all of the amazing restaurants to try out in Aruba, we went to the West Deck twice during the week because we wanted nothing more than to get the Caribbean Rice and Fried Funchi dishes again! I highly recommend stopping at the West Deck at least once during your stay. As you can probably assume from the above the side dishes were the biggest hit for my mother and I. Instead of ordering full meals we ordered a ton of appetizers and side dishes to share. In addition to the funchi and Carribean rice, I would highly recommend the plantains! 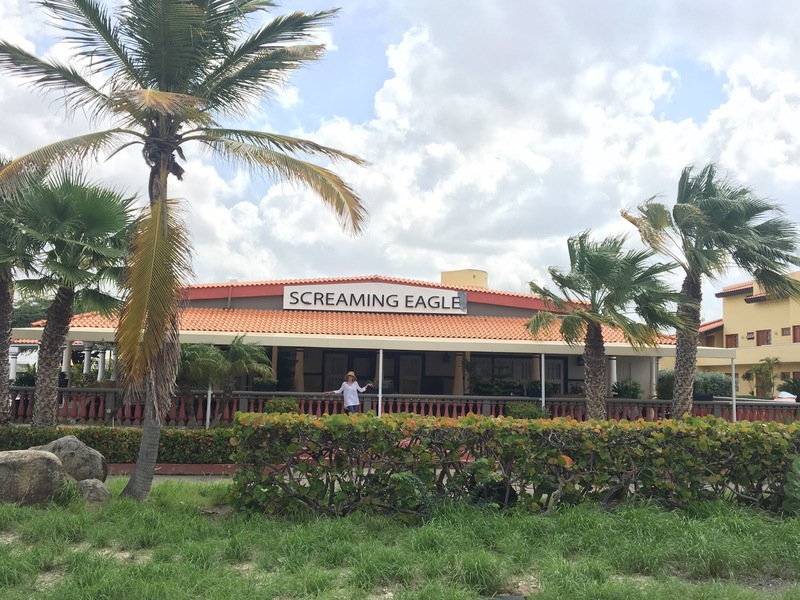 Screaming Eagle has been voted by a number of publications as the top restaurant in Aruba. While I am not sure I would call it the absolute best (it’s a tie between all four of these restaurants!) it was definitely incredible. It is the priciest of the 4 on this list, so be prepared for that. That said however, they routinely have 40% off wine bottle nights – so plan ahead to go then! 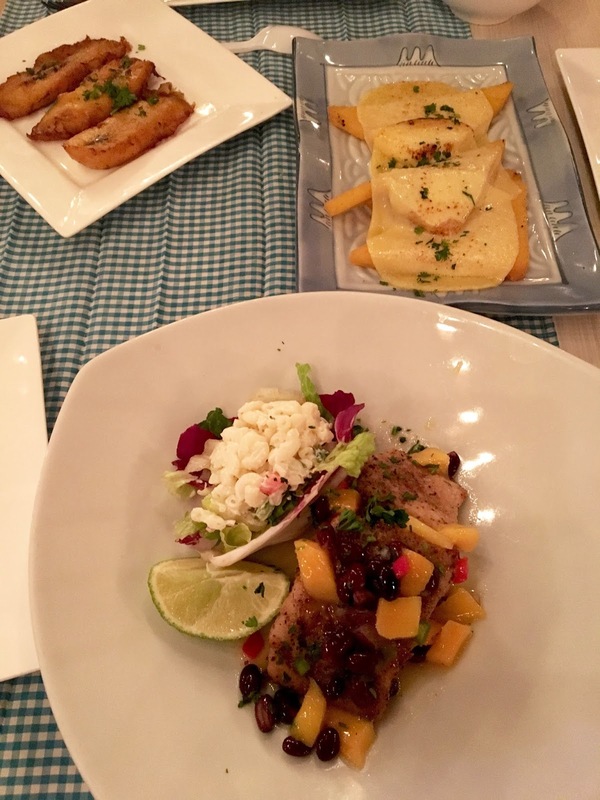 The menu is more European than the other options on this list, which all focus more on local Caribbean cuisine. 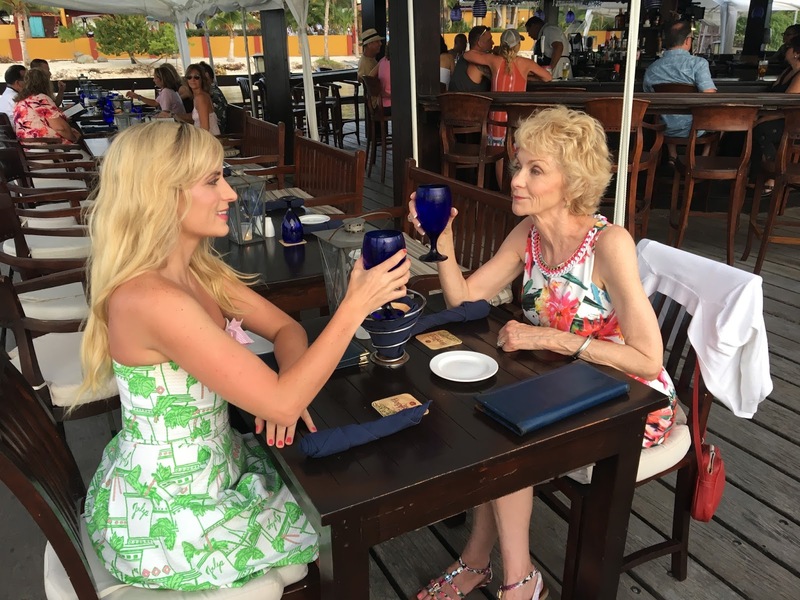 Screaming Eagle is a nice change for a mid-week meal if you are staying in Aruba for a week or more. We ordered appetizers, main courses and desserts and after every course we talked about how impressed we were! The dessert though was definitely the best part, in my opinion. I had the La Tazza Famosa – which was a mug made of chocolate filled with liquor, white chocolate mousse and orange sorbet. Just typing that is making me miss it haha. If you are looking to do some clothing shopping, I cannot recommend enough that you go to D Shop. The store isn’t particularly cheap (dresses around $100, shoes around $70, handbags around $50) but the styles are gorgeous. What I loved is that so many of the pieces were inspired by designer collections. 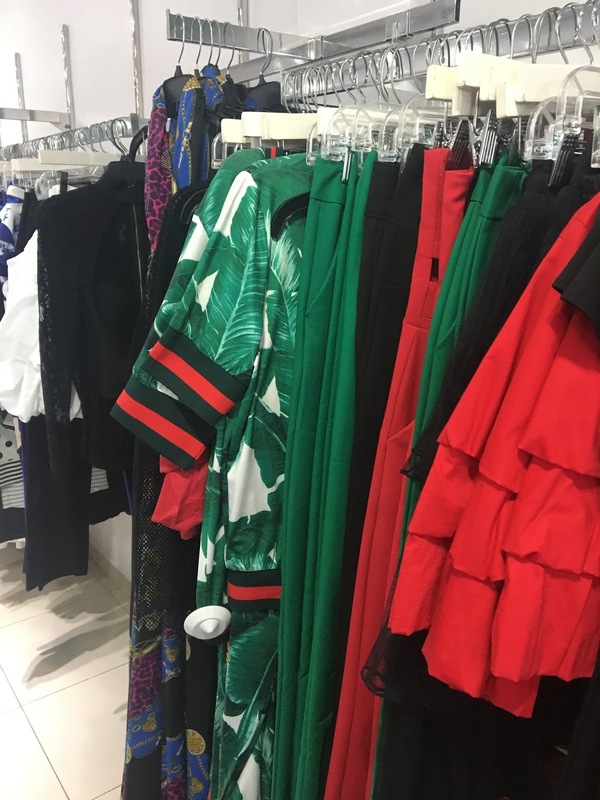 To be clear, these are not dupes of designer pieces, but rather brands who have taken inspiration from designer collections. 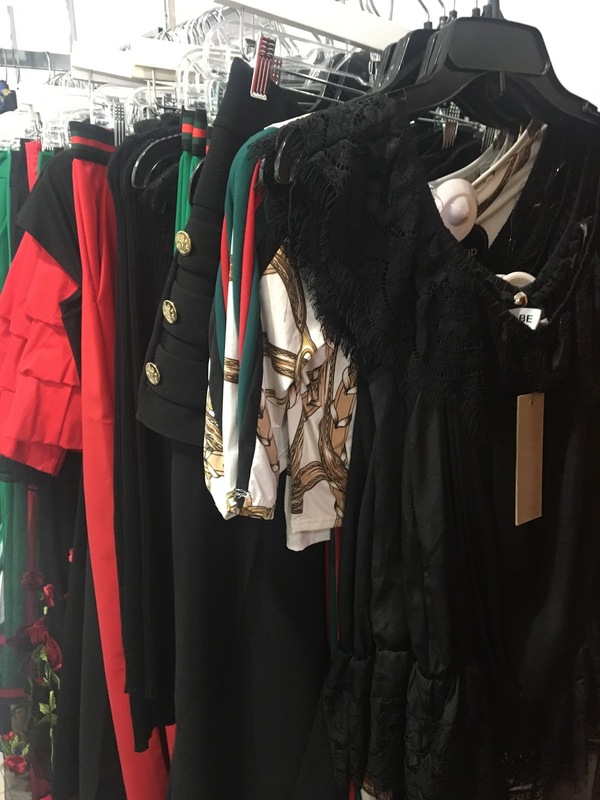 There were so many pieces inspired by Gucci – with Gucci style ribbon and bows, red and green accents, etc. There were also a number of gorgeous print wrap dresses that are clear nods to Diane Von Furstenberg ones. I hope you enjoyed this post and let me know in the comments below if you have any questions! Thank you to Pinchos & The West Deck for their collaboration in this post. As always, all opinions expressed are my own. "Aruba – Must-See’s & Must-Do’s"
"Work Wear | Pink Blazer & Chloe Bag"